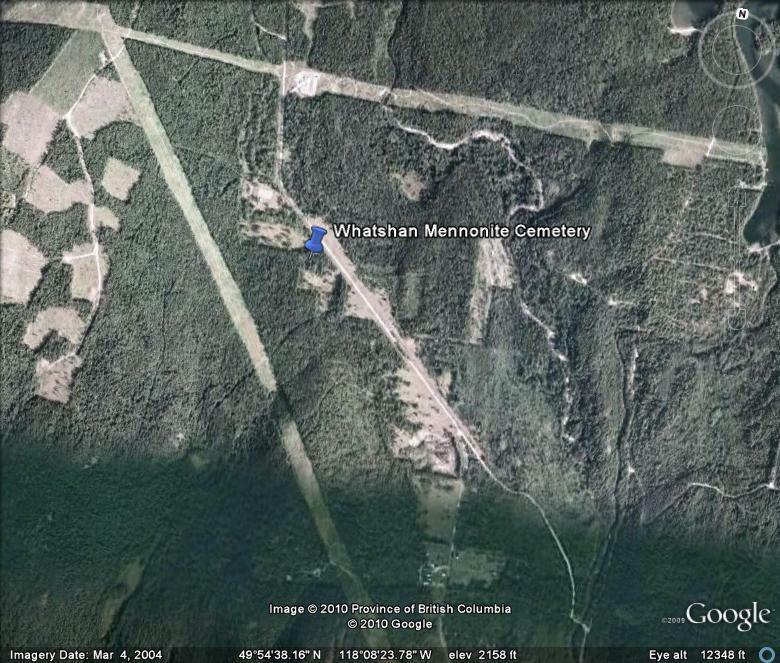 The following is a transcription of the Whatshan Mennonite Cemetery located in Whatshan Lake, British Columbia, Canada. 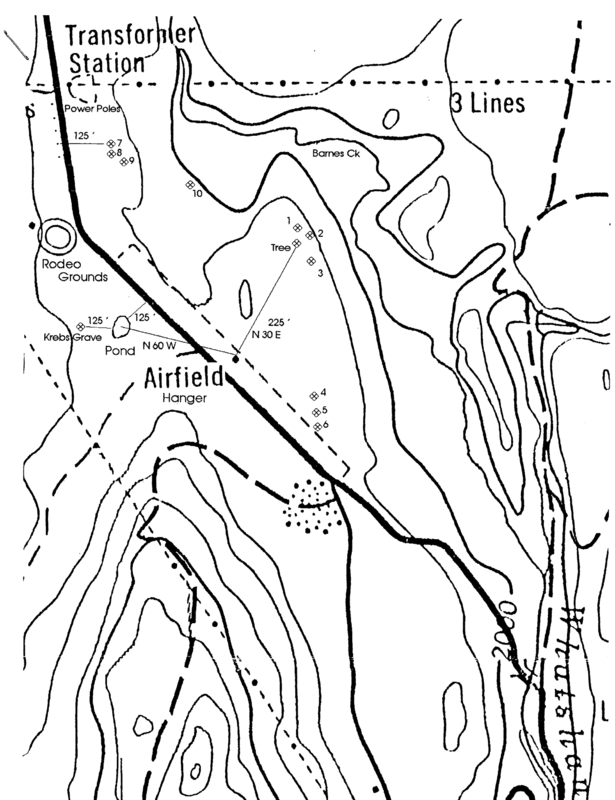 Latitude: 49o 54' 46.77" N.
Longitude: 118o 08' 44.82" W.
In 1911-1912 a group of Mennonite families, primarily from Manitoba and Alberta, arrived at Needles on Lower Arrow Lakes. They purchased land in the Whatshan Valley where some built their houses in the townsite of Carstons. The Mennonites cleared and cultivated the land and many planted small fruits such as strawberries, gooseberries and currants. They also leased nearby land for crops for their livestock. They also built their own sawmill so that logs did not have to shipped to the mill in Castlegar. The cemetery was established directly south of the Post Office which was established on the property of Mr. and Mrs. Isaac Penner and operated by their son Isaac. Unfortunately commercial fruit growing was not profitable and by 1917 the last of the families left the settlement. There are two marked graves with a plastic white picket fence around them. The first is of Barbara Krebs, who died in 1913. 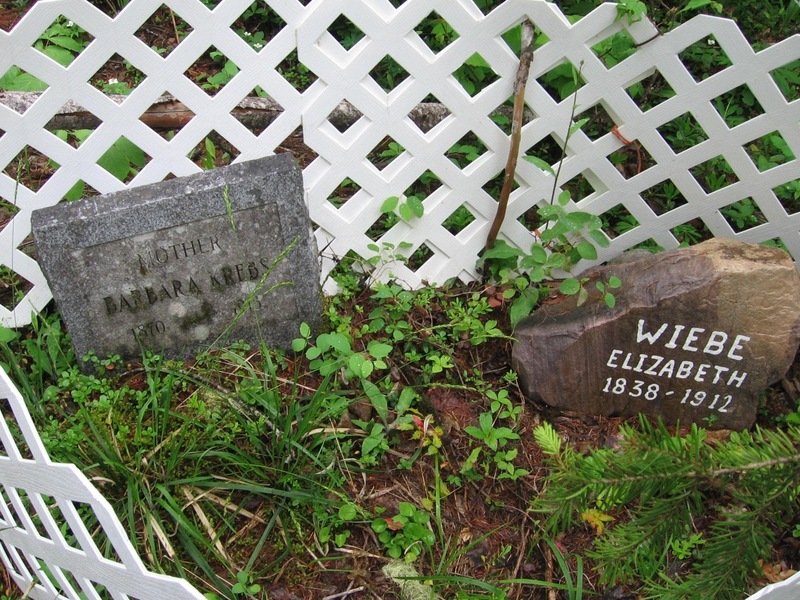 The second is of Elizabeth Wiebe, who died in 1912. There may also be a third grave which is possibly that of a Friesen baby who died in 1912. From the research of Greg Nesteroff: Herman Krebs (1860-1950) married Barbara Reichel (1870 - 1913). The couple had ten children: Fritz, Lena, Peter, Fred, Mary, Ferdinand, Herman, Willy, Elizabeth, and Constantia, the last of whom was born the same year Barbara died. Herman then married Katherine Friesen (1882-1924) and they had Alexander (1920-1924) and Annie. From the west the road to Whatshan Lake is located between Edgewood and the Needles Ferry off of Highway 6. Proceed approximately 5 km to the east of the road leading south to Edgewood, BC. Turn east (left) on Whatshan Settlement Road / Barnes Lake Road. It is the first road after the hairpin curve. From the east, after docking at the Needles Ferry Terminal, proceed west on Highway 6 approximately 3 km and turn east (right) on Whatshan Settlement Road / Barnes Lake Road. The cemetery is now on private property and cannot be accessed by the public. For those wishing to visit, proceed to 225 Barnes Creek Road (Jeff and Megan Andrew) and they will guide you to the location.